Mixed Media means I often use one or all of the media: watercolor, & acrylic & digital art & collage on one artwork. Menehune is Hawaiian for little people, sometimes dwarfs or little people in the deep forests or valleys of Hawaiian islands. The boy is our grandson who won the Menehune Surfer contest as a 4 year old, 2018. The artwork is watercolor and collage over digital art paper. It is finished with UV protection and varnish. 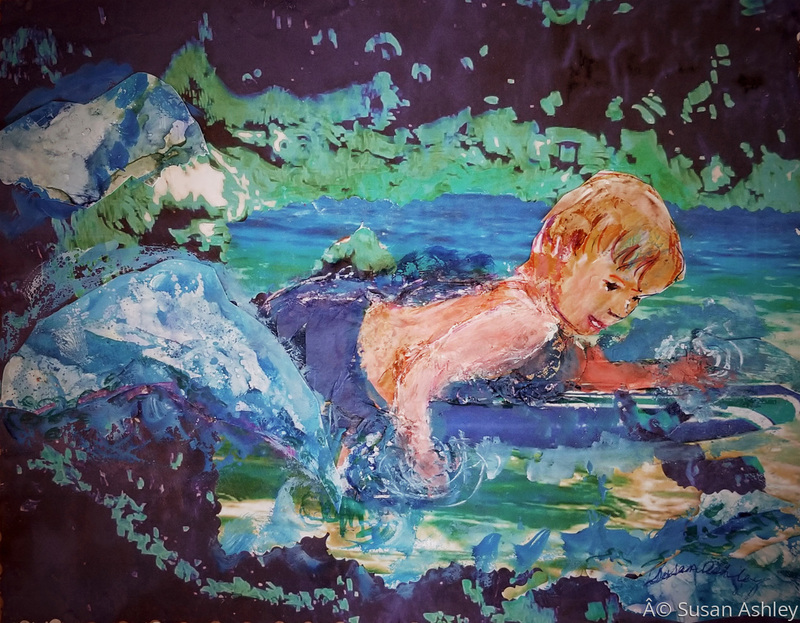 There is a print version available with Menehune Surfer titled on the art. 5" x 6.75"6" x 8"7" x 9.25"8" x 10.5"9" x 12"9.75" x 12.75"